Ever since Nikita Khrushchev advised India to “shout across the Himalayas if you ever need us,” military cooperation between India and Russia has rarely taken a pause. Russian Foreign Minister Sergey Lavrov is meeting today with his Indian counterpart Somanahalli Mallaiah Krishna in Moscow for the latest round of talks aimed at beefing up military cooperation between the two nations. Moscow and New Delhi enjoy a longstanding military partnership that goes back to the days of the Cold War when India, in response to America’s decision to sign an alliance with Pakistan in 1954, deepened its contacts with China and the Soviet Union. To put the historical relationship in dollar terms, between 1960 and 2000, Soviet Russia supplied India, which was in something of an arms race with Pakistan, with about $35 billion worth of military equipment. When the Soviet Union collapsed, New Delhi’s debt to Moscow was estimated at up to $16 billion. Now, as Russia celebrates the Year of India (last year was Year of Russia in India), bilateral military cooperation between the two nations shows no end in sight. And the partnership seems a natural match given the number of highly trained university students from both nations who excel in math and computer skills. Now that the economies of both countries are coming to a slow boil, these skilled graduates don't need to look to distant shores for good jobs. Wednesday’s deliberations represent the latest step in a military-economic initiative that began last week during the 9th meeting of the India-Russia Inter Governmental Commission on Military Technical Cooperation (IRIGC-MTC) in Moscow. During last week’s talks, Indian Defense Minister A.K. 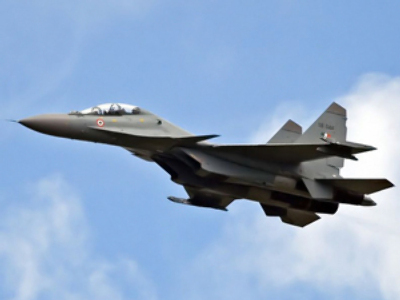 Antony hammered out an assortment of preliminary military deals with Russian Defense Minister Anatoliy Serdyukov, including a modernization program for India’s Russian-made Su-30MKI fighter jets, and development of a fifth-generation fighter aircraft. And to underscore the effectiveness of the Indian-Russian military cooperation, Antony and Serdyukov discussed technical issues related to the world’s fastest cruise missile, the BrahMos, a joint creation of India’s Defense Research and Development Organization (DRDO) and Russia’s NPO Mashinostroeyenia. In total, the current cooperation program between India and Russia entails about 200 special projects, which are expected to be singed during the India-Russia Summit scheduled for December. In addition to these lucrative initiatives, Lavrov and Krishna will discuss preparations for the RIC ministerial meeting that will be held in India on October 27, which will be devoted to solving international and regional issues. The “C” in RIC of course stands for China, the communist-slash-capitalist nation and regional powerhouse that cannot be excluded whenever the issue of Indian-Russian relations is brought up. “Both are developing countries, share historical experiences, and face similar tasks today. The combined population of the two countries accounts for 40 percent of the world’s total. With the growing economic strength, China and India are enjoying a status and role that are much more appreciated in the world arena. Our common concerns and interests in international affairs require us to consolidate out coordination and cooperation,” he wrote. Although there are voices in both India and Russia that fear the consequences of an overly influential China, Moscow seems increasingly positive about the opportunity of enhancing its defense production capabilities, which China and India – Russia’s biggest consumers of its military hardware – still eagerly consume. Additionally, a triple military alliance between Russia and the world’s two heaviest populated nations, although a juggling act of sorts that has never been formalized, would represent a not insignificant counterbalance to US military might in the region, which is presently bogged down in Afghanistan. On Oct. 27, foreign ministers from RIC will meet for the second time in the tech city of Bangalore, India, which has become something of India’s version of Silicon Valley. The three foreign ministers – Somanahalli Mallaiah Krishna of India, Yang Jiechi of China and Sergey Lavrov of Russia – are expected “to deliberate on climate change, restructuring of multilateral funding agencies and the global economic recession, besides regional issues,” India’s Deccan Herald reported. 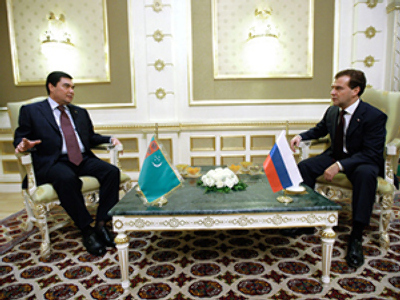 The first meeting of RIC was held in May 2008 in Yekaterinburg, Russia. But for Indian-Russian relations in the field of military-technical cooperation, Lavrov reminded his guests that the momentous event of the year will be the India-Russia Summit in December. Lavrov took the opportunity to stress the need for India and Russia to implement the agreements hammered out over the course of the past year between President Medvedev, Indian President Pratihba Patil and Indian Prime Minister Manmohan Singh, who will represent India at the Summit in December. Also Wednesday, the Russian-Indian inter-governmental commission on trade, economic, scientific, technical and cultural cooperation held its 15th session. The commission recommended that the program be extended for another 10 years, with the required financing provided by both sides. The memorandum focused on the implementation of a comprehensive R&D program between the two nations, as well as the establishment of a Russian-Indian technological center where the exchange of knowledge and breakthrough discoveries may take place. India and Russia are looking to increase bilateral trade output, and not just on the military front, which continues to dominate trade figures. Russian President Dmitry Medvedev met with Krishna on Wednesday in the Kremlin where the “mutual support” aspect of the relationship took center stage. "I am very pleased to meet you in view of the energetic, systemic, diverse political dialogue that exists between the Russian Federation and India," Medvedev said in opening the meeting. Russian Vice-Prime Minister Sergey Sobyanin said trade turnover between Russia and India increased by 11 percent in the nine months of the year and could exceed 8 billion U.S. dollars by year’s end. Both states set down the challenge of increasing trade turnover up to $20 billion by 2015, Sobrabyin added. Finally, the parties also agreed to draw up a draft agreement on mutual understanding between the Russian state nanotechnology corporation Rusnano and the Indian Department of Science and Technology, Russia’s Interfax reported. The document may be signed in February or March 2010, the protocol states. In concluding Wednesday’s otherwise upbeat talks, Lavrov expressed condolences to his Indian counterpart over a fatal railway crash that occurred on Wednesday in Mathura, northern India, which killed 21 people and injured over a dozen. Krishna thanked him for the expressed condolences.